That image was actually used on a bunch of merchandise back in the 90s. 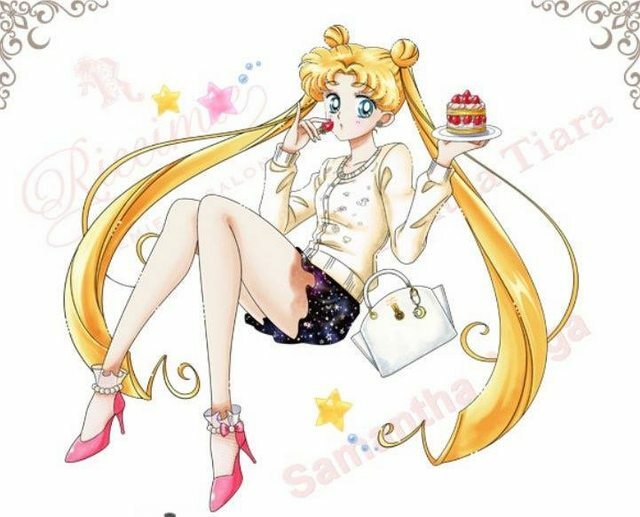 New artwork for Usagi's Birthday Special Party 2018 at the Laforet Museum. Anyone got a bigger version of this? it's nice. I prefer the original style. Naoko took some artistic liberties and drew them like they were women; now they look like children... which actually makes sense since they are 14 year olds. But I still prefer the original style. 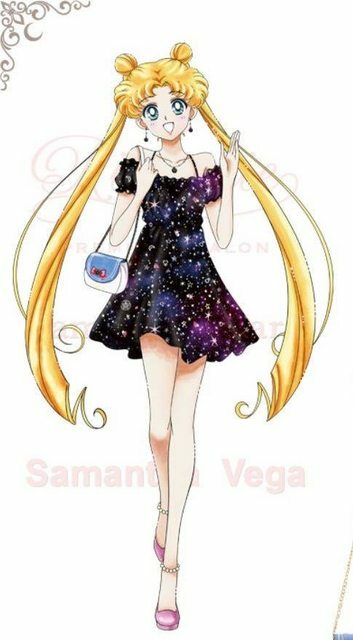 New artwork for the Sailor Moon x ISETAN 2016 collaboration. These pictures are so mystical. The first image looks like she's going to hang out with her friends. 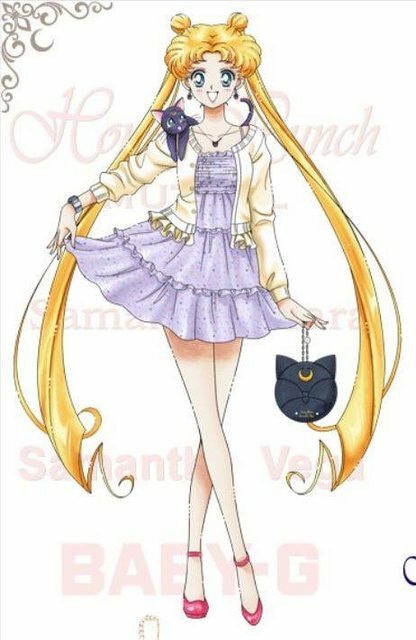 Usagi in the second image looks fashionable. In the third image, she looks gorgeous. The last one is the best one. 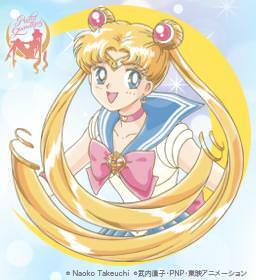 Naoko said in an interview that she likes drawing her female characters with slim silhouettes and long limbs. She said in the same interview that one of her favorite mangakas did the same and that she was influenced by him. 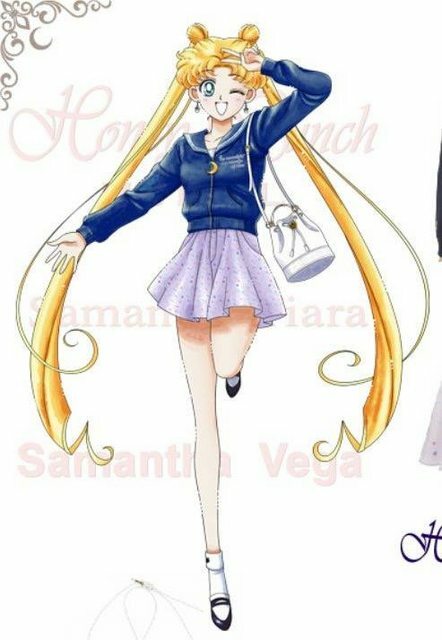 I like Naoko's manga/artbook style. That mangaka could be Matsumoto Leiji. I tried to find said interview, but couldn't find it; instead I found this one. A5 Reiji Matsumoto, Yuki Hijiri, Kimiko Uehara, Yumiko Kawahara. BTW, while the normal romanization of his given name is "Reiji," he uses "Leiji" instead (it's his pen name anyway). This blatant ageism! Where’s Pluto!!! 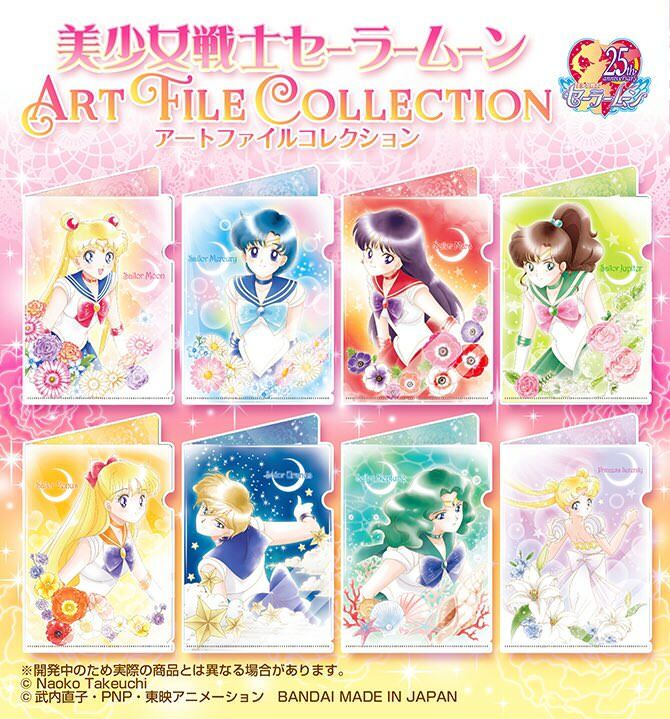 Saturn & Chibi Moon aren't there too. Well, Saturn isn't even there either. What could I ever have done to deserve such a woesome fate? This is what happens when Pluto gets demoted from being a planet. Looks pretty new to me.. It looks like a very different style almost. And since it has that PNP branding on it, I'd suspect it to be new possibly. When art work gets presented like this...the Sailor Who's are nowhere to be found. Pluto is at the door, Saturn is dormant and Chibi-Usa is sleep. And where is Mr. Smoking Bomber? 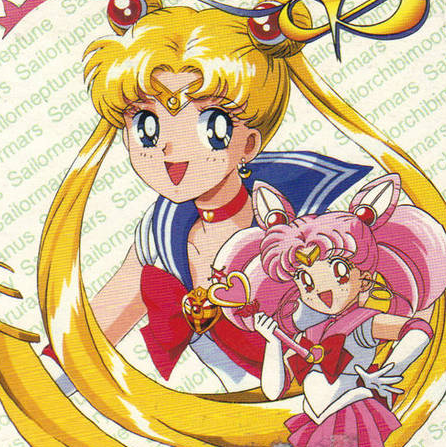 Isn't the artwork based on the Sailor Moon R Eyecatch? Yeah, Uranus and Neptune are taken from the S opening. Serenity is from the last SuperS laserdisc.